Scheduled to publish next month, the statistics show thyroid surgery much less safe than thought. The findings that 12% of patients overall had thyroid surgery specific complications is concerning, but more concerning is surgeons quote a 1 to 3 percent rate of error. In the case of surgery for metastatic thyroid cancer, the error rate skyrockets to 23%. 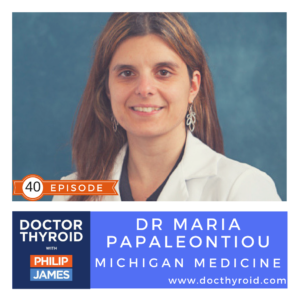 Dr. Maria Papaleontiou is an Assistant Professor of Internal Medicine with an appointment in the Division of Metabolism, Endocrinology and Diabetes. 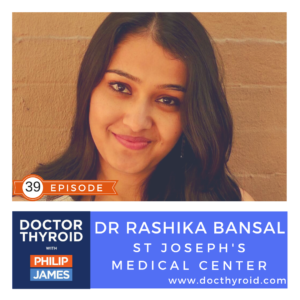 In this episode Dr. Bansal shares the research she presented at AACE 2017 and ENDO 2017, regarding the poor readability scores for thyroid cancer web sites. The challenge for these web sites and health institutions is to translate thyroid education from complex to simple and easy to understand. Currently, many patients are not following up with treatment, citing confusion after being exposed to the various thyroid cancer education resources. If you select carefully, the unwanted errors of thyroid surgery can be avoided. 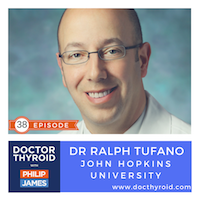 Dr. Ralph P. Tufano is the Director of the Division of Head and Neck Endocrine Surgery at The Johns Hopkins School of Medicine, and conducts thyroid and parathyroid surgery with a focus on optimizing outcomes. A little T3 can make a world of difference for some thyroid patients. 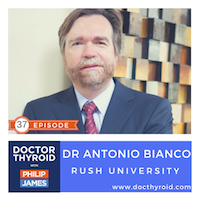 Antonio Bianco, MD, PhD, is head of the division of Endocrinology and Metabolism at Rush University Medical Center. 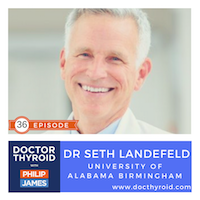 Dr. Bianco also co-chaired an American Thyroid Association task force that updated the guidelines for treating hypothyroidism. The USPSTF upholds its 1996 recommendation against screening for thyroid cancer among asymptomatic adults. The USPSTF commissioned the systematic review due to the rising incidence of thyroid cancers against a background of stable mortality, which is suggestive of over-treatment. And in view of the results, the task force concluded with “moderate certainty” that the harms outweigh the benefits of screening. 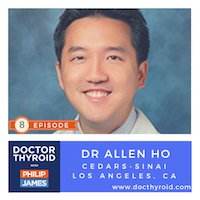 Dr. Allen Ho states, “if a patient is a ballerina or an opera singer, or any other profession that could be jeopardized due to undesired consequences of thyroid cancer surgery, then the best treatment path maybe active surveillance.” Undesired consequences of thyroid cancer surgery could be vocal cord paralysis, damage to the parathyroid glands resulting in calcium deficiencies, excessive bleeding or formation of a major blood clot in the neck, shoulder nerve damage, numbness, wound infection, and mental impairment due to hypothyroid-like symptoms.